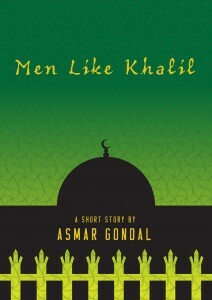 My latest piece of work, a short story called Men Like Khalil, is to be released next week. Set on the day of the shocking murder of Lee Rigby in Woolwich two years ago, Men Like Khalil is about community and fear, about anxieties on British streets when they become a theatre for the world’s troubles. My main character, Khalil, is a taxi-driver by trade but operates as his mosque’s makeshift security guard. He’s called into action as news of the incident trickles then explodes into the public domain, with seemingly little left to the imagination. Many of us feared the worst that day as emotions ran high throughout our communities. I wrote this story in an effort to recreate and make sense of that tension. This story is therefore less about the savage event itself and more about the fallout. Its self-publication has been a long-time coming; I finished Men Like Khalil a year ago. The delay is down to a number of reasons, including strict rules set by short story competitions. It will be available to download for FREE as an ebook next week, but NOT on Amazon, meaning you’ll need an alternative to your Kindle device or Kindle app (details below). This is down to technical reasons, plus I have doubts over how much Amazon supports free titles. I turned to the same people who did a great job during my self-publication of A Missing MC; while Jan Disley pored over the 5,000 word manuscript, Tim Slater has once again done a terrific job with the cover. I’d also like to pay tribute to the friends, family and colleagues of Lee Rigby, particularly as we approach the second anniversary of his death. While their world was shattered very publicly, they kept themselves away from the aftermath. I was privileged to stand alongside other members of the public who lined the streets of Bury for Lee’s two-day funeral with military honours. It was an event I am sure all concerned were very proud of. A few days ago I announced I have written a short story following the murder of Lee Rigby last year in Woolwich. In that post (below) I explained that my story is less about the savage event itself and more about the fallout. Khalil walked to the window and looked out to the empty car park. His Mercedes would soon fade in the dusk. He was here, perhaps where he was always meant to be. This still night, with the first glimpses of summer balm, had the taste of something familiar. An incident which makes an entire nation stop and drop its mouth; the subtle positioning of each player feeling the breeze, a government mishandling the whole thing. Whether it was a matter of hours or days, this mosque could not go unnoticed and would need to be protected for however long it took. See the post below for further information about Men Like Khalil.